No More Massive Cell Phone Towers? The end might be in sight for mammoth cell phone masts causing a blot on the landscape. Those in the cell phone industry are looking into the possibility of creating much smaller antennae, which could be placed outside buildings, on lamp posts, or even carried by hand. As well as cutting out the unsightly blots on the landscape, the small solution could even put an end to slow data speeds and those ‘dead spot’ areas where cell phone transmissions break up. The Mobile World Congress event, the largest such cell phone trade show in the world, which began on Monday in Barcelona, will see the first demonstration of these “small cell” antennas courtesy of some big name technology companies. Sweldens’ company is set to demonstrate one possible solution, a “lightRadio cube” at the event. 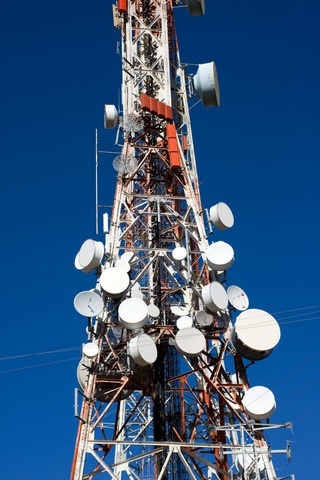 The antenna is about the size of a Rubik’s Cube (hence the name) and Alcatel-Lucent foresees the day when the cubes, which just need some small electrical power and an optical fibre to connect to a phone network to function, could replace the monster masts. Trials are set to begin in September, and the cubes could become available commercially as early as next year.